David M. Walker: President & CEO of the Peter G. Peterson Foundation and former US comptroller general and CEO of the Government Accountability Office 1998-2008. 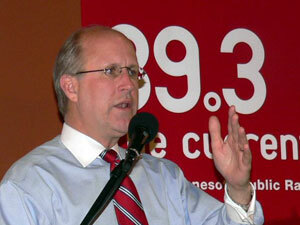 Tim Penny: President of the Southern Minnesota Initiative Foundation. Co-chair Peterson-Pew Commission on Budget Reform. MN 1st district DFL congressman 1982-1994. IP candidate for Governor 2002. The former head of the GAO joins MIDDAY to talk about his new book, "Comeback America: Turning the Country Around and Restoring Fiscal Responsibility."